In a perfect world, I would see a new and really reforming Canadian PM order a summary of the country’s national interests, after which he gives the defense dept 3 months to come up with how to fill in those defined interests… and what do you know, we end up with something naturally devoid of NATO and other clogged up international military baggage and associated belligerence. Then, possibly we could really major on our Canadian credentials and focus on diplomacy – taking over what used to be the French forte – and be the ones who always want to and are able to talk to anyone and everyone, no matter what the human rights or other accusations or demonisations. We could become the safety and rescue missions of the Arctic; build similar arctic stations as the Russians do but more focused on trade and our native peoples than on projecting military strength;…. Woops. Time to wake up and smell the burnt coffee. Given the currently abysmal state of the Bundeswehr, of which I was a member somewhat less long ago (13 years) then Paul, I am not as certain that just the European members of Nato actually outnumber the Russian armed forces in items such as tanks and artillery. One should also consider the fact that Russia sources the vast majorities of her arms procurement internally (and obviously salaries are also paid internally) , meaning that Russian defense expenditures should be adjusted by their purchasing power parity (roughly multiply things with 2.5) in any case. In addition, the utterly inflated US prices for war-related items do, due to Nato being somewhat of a common market for military hardware, massively drive up military hardware prices in other Nato countries as well, this paradoxically greatly reduces military capabilities of new and old Nato members, because being a part of Nato results in defense costs per item skyrocketing upwards. If Poland had its 1991 army now, it would be the second strongest conventional force of Nato. Not that I am blaming the Russians for any of that. 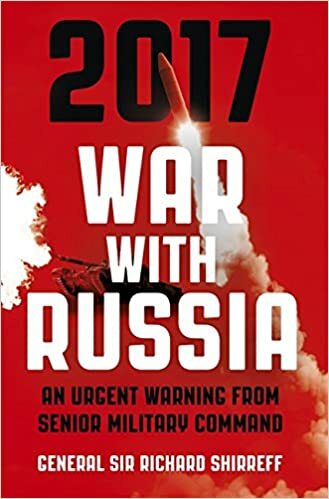 Russia has a wide spectrum of pretty heterogenous threats right at her doorstep, it has few natural barriers to aid in its defense from invasion, and her rich endowment in resources, industry and people may turn her into an attractive target. Something would be very odd if the UK and Russia would spend the same amount of money on defense. In a Russia vs parts of the EU scenario, one should also consider that Russia is a far more unitary actor then an opposing alliance which would increase its efficiency. I would also state that, for the UK, trying to create a capability of matching Russia on land (which is where Russia is best at) is utterly moronic and completely unachievable. All these outlandish claims by the military in all countries of the West, including the UK and especially the USA, should be done within the means of the governments’ income. That is, spend within your means. All (most) of the spending on military by the USA goes directly to their deficit, and financed by printing phony fiat money. The West needs to wake up to the fact that the military and the MIC are getting rich at the expense of much needed infrastructure and other programs to benefit the ordinary citizen. However, the ordinary citizens should be able to see this and will eventually rise up to object to this lunacy, which is only driving the world toward the next devastating war. Try such disappearing term as the “national elite”. Nah, it’s just his way of saying “Gib monies, plox!”. But-but-but!.. We already have!.. Didn’t you notice? I disagree. In the capitalist society this is the only vehicle to drive the technical progress train, from which EVERYONE benefits. The trick here is not to escalate, while keeping the charade going on. Good to see your comment here- your comments are missed at the “New Kremlin Stooge” blog! Regarding general carter – he would get further in his demand for more money if he could explain to the public what is in the national interest- instead of fear mongering. It’s a weak card to play it didn’t stop Brexit.